We received the HydroSilex Recharge a little while ago and all I can say is it's incredible! 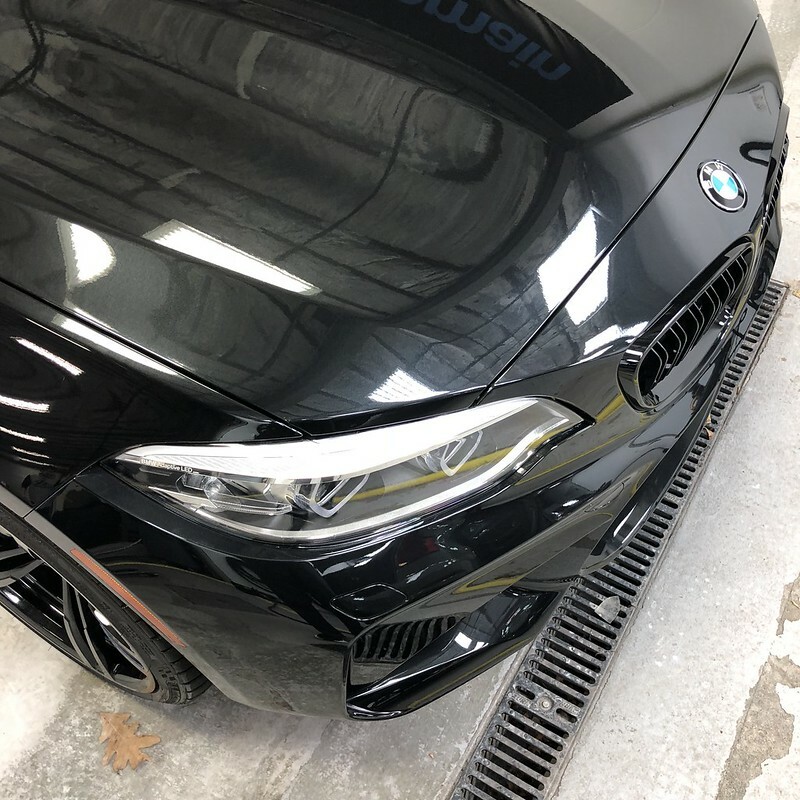 If you are looking for a super easy and quick way to get your car protected this is what I feel is the best way to do it. It's hard to compare this to anything out there because it's so versatile. 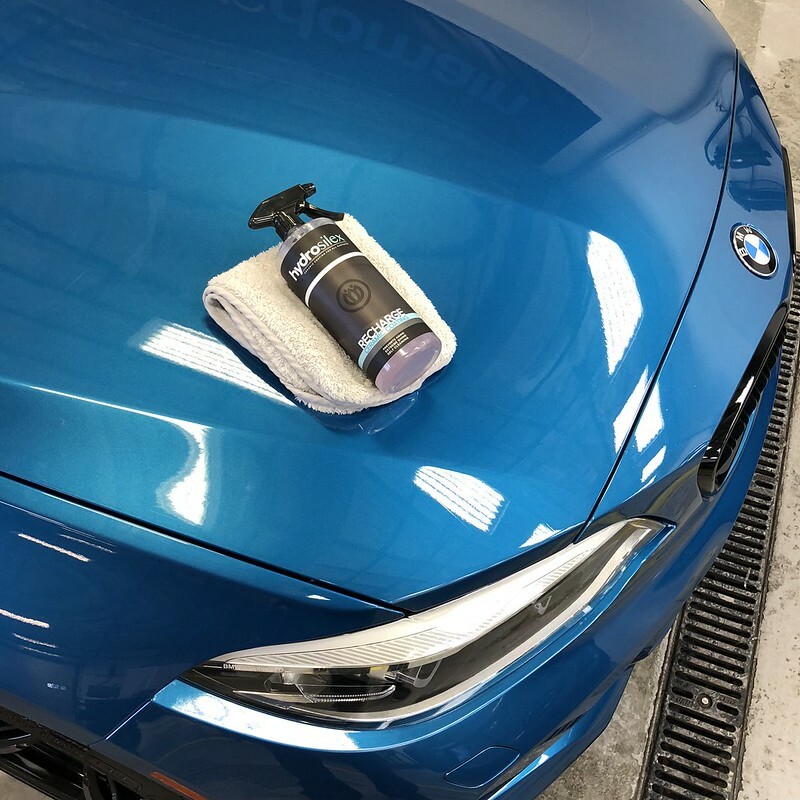 It's a hybrid of sorts, it's as easy to use as a detail spray but has the traits and strengths of products like Reload, Brilliant Shine, Polymer Net Shield, Cure, Wet Coat, Wash Coat, SiFinish, and many others. What's funny is where most other manufacturers have two products or even three, HydroSilex Recharge has condensed the two or three into 1 product! The HydroSilex Recharge will save you time and provide results. 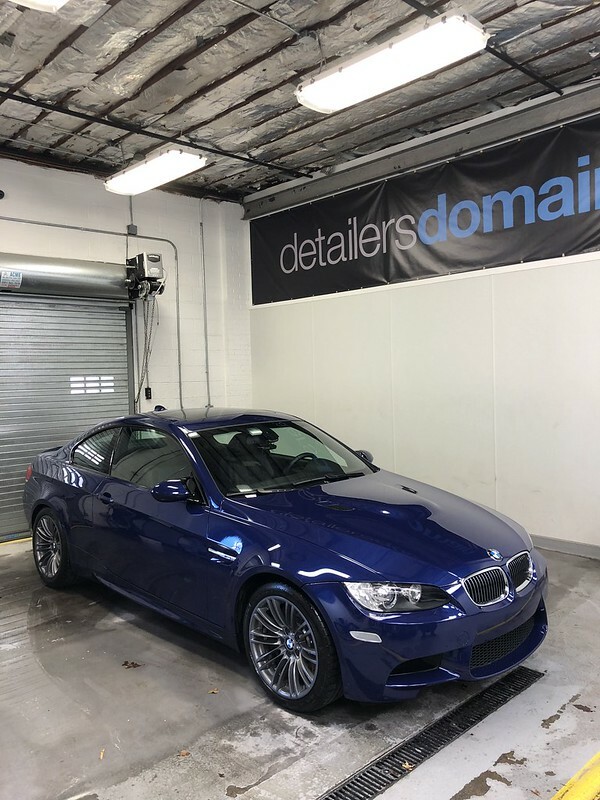 Now if you love waxing your car or pulling out your orbital polisher to lay down your favorite sealant or wax, this is not the product for you. Early adopter - diy guy - that loves everything about a coating but doesn't want the fuss of the potential risks involved of a coating. HydroSilex is the first “professional” coating that doesn’t need a professional to do the install. The simplicity of the installation makes HydroSilex into the perfect coating for the DIY. Once applied HydroSilex cures into a durable transparent ceramic layer on top of the substrate. The new top layer adds shine and protects the substrate from getting in contact with contaminants, UV, minor scratches and other harmful chemicals. Ceramic coatings will not perform as promised unless they are cared for. HydroSilex is the perfect product for your already installed proffesional coating. IS THIS THE SAME AS AN ACTUAL COATING? Recharge is engineered to be used as both a maintenance coating for traditional coated surfaces or as a stand-alone protection. It works with any coating brand to help maintain gloss, self-cleaning, UV protection and slick surface feel. As a stand-alone, it also provides those features. WHAT DOES HYDROSILEX RECHARGE PROTECT AGAINST? HydroSilex Recharge creates an extremely slick surface which serves as a repellent from environmental contaminants, while providing UV protection against fading. IS HYDROSILEX RECHARGE RESISTANT TO SCRATCHES? HydroSilex Recharge is a ceramic-based coating, it is not designed to resist scratches like a conventional glass coating. HydroSilex Recharge can be used on virtually any surface. It can be applied to bare metal, stainless steel, aluminum, glass, plastic, wood, fiberglass, stone, marble tiles, automotive paint, gel coats and more. HydroSilex Recharge is extremely easy to use! It's as easy as spray on and wipe/rinse off. Unlike other maintenance coatings that only have one method of application. HydroSilex Recharge can be applied numerous ways. It can be applied using both wet and dry methods. Refer to our "How to Install" section for instructions on each method of application. CAN HYDROSILEX RECHARGE BE APPLIED USING A FOAM CANNON? Yes, it can be applied using the recommended mixing ratio for application with a foam cannon. Mix 1 ounce of Recharge in a typical 32oz foam cannon bottle, with water. For a heavier application, simply pour Recharge into the foam cannon bottle, then apply. Pour any unused product back into Recharge bottle when finished. DOES HYDROSILEX RECHARGE GIVE HYDROPHOBIC PROPERTIES AND SELF-CLEANING EFFECT? By design, HydroSilex Recharge gives instant hydrophobic effect upon contact. Because it is engineered to be applied wet, the surface can be exposed to water immediately. 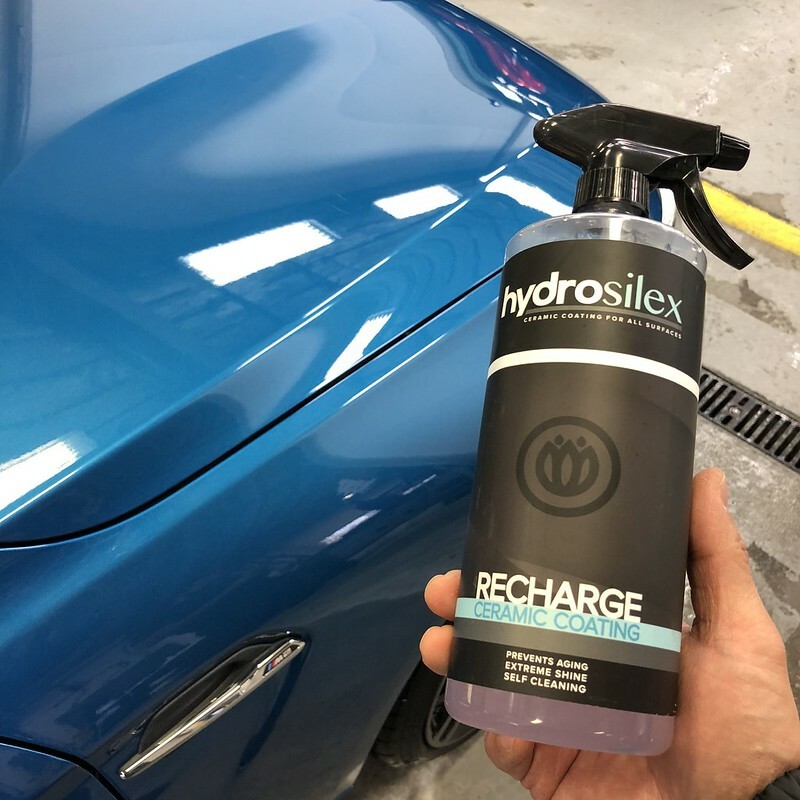 Yes, HydroSilex Recharge creates a slick surface that is extremely hydrophobic and thus creating a self-cleaning surface that requires less maintenance. HydroSilex Recharge can last from 6 to 8 months, but will last indefinitely longer if used routinely as it was designed. The product is designed to be layered, so the more often it is used, the longer the durability and effect. DOES IT PROTECT SURFACES FROM OXIDATION AND FADING? Yes, HydroSilex provides protection against oxidation and fading from UV exposure. CAN I USE RECHARGE ON A CLEAR BRA? Yes, HydroSilex Recharge is great for use on Paint Protection Film as those products do not have built in protection against UV exposure. 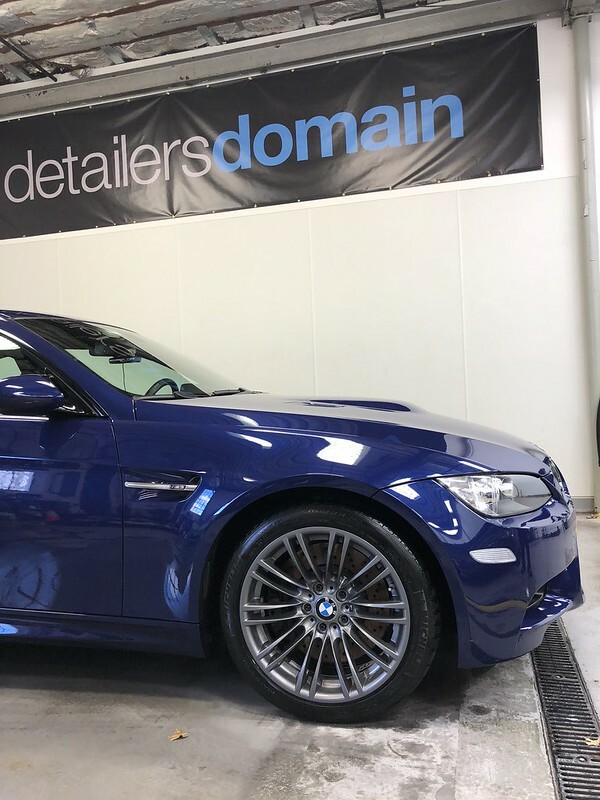 It will help keep those surfaces easy to clean by creating a slick barrier, without the common build up by waxes and sealants on the edges of the film. 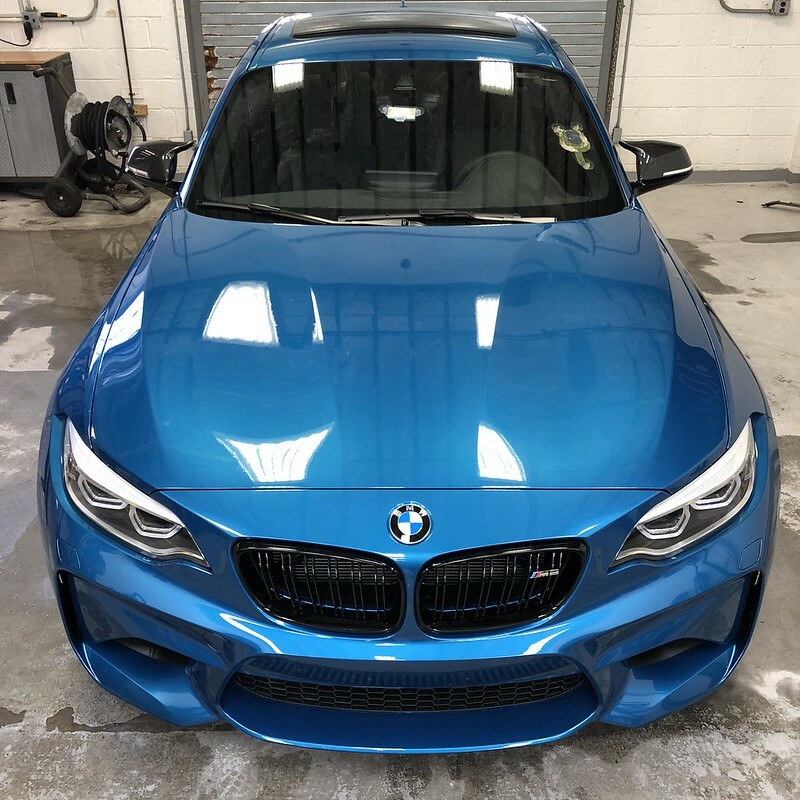 This BMW M2 was Recharged - the full front has a clear bar on it. Installation is as easy as it can possibly get, here is what HydroSilex wants us to use the product. My favorite way to apply the product is probably going to be dry, for some reason my head is telling me that it will be the best way to get the most out of the product (in the sense of durability), without diluting it like on a wet application via drying the vehicle or installing it via a foam cannon or foam gun. So that being said my thinking is for the 1st application go dry and for maintenance with HydroSilex use it in a foam cannon, foam gun, or as a drying agent, either way imagine that while you are drying the car you are adding that slick feel to it as well as giving your car protection 1-8 months worth! Buff with an additional clean microfiber towel if necessary. During the wash process, rinse the vehicle. Rinse treated surfaces immediately before Recharge dries on surface until water runs clear. Apply to Hydrosilex Recharge utilizing the foam cannon on all exterior surfaces of the vehicle. use approximatly 250 ml per vehicle. Rinse treated surfaces with water thoroughly until water runs clear. 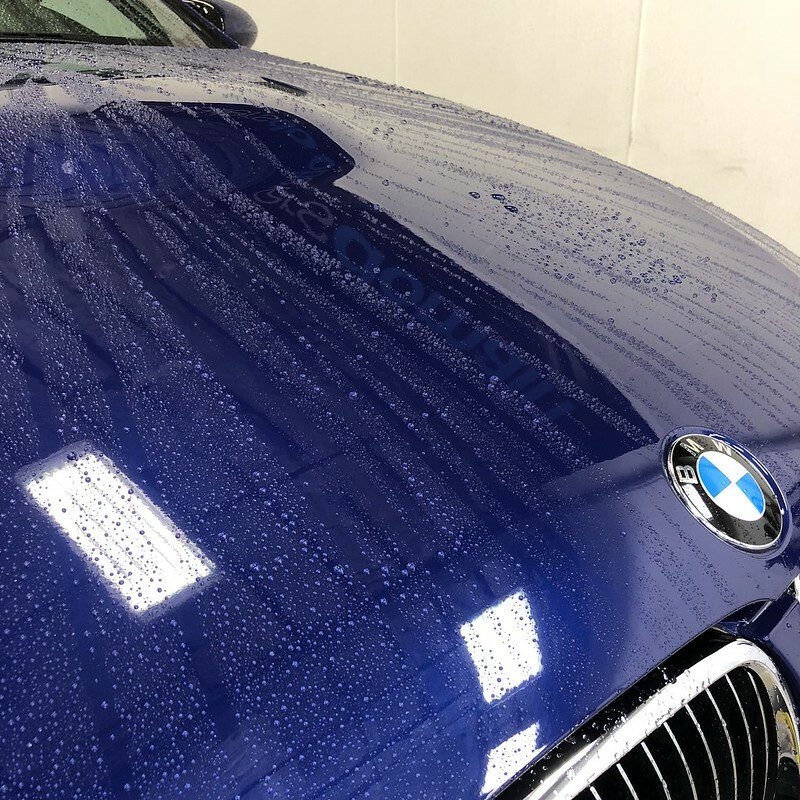 Water Beading is on point, HydroSilex Recharge was used over this coated BMW M3, in this case Recharge was used to boost the current coating. All times are GMT. The time now is 06:49:30 AM.